One of the hottest films in Taiwan right now, To the Fore (破風), is a motivational sports film that tells the tale of four young cyclists and their battle to the top, overcoming challenges within their own team and against others. Not just starring Taiwan’s very own Eddie Peng (彭于晏), To the Fore also features Choi Si-won from South Korea’s Super Junior and Shawn Dou (竇驍), a rising Chinese actor. This diverse and star-powered film has taken Asia by storm. What’s even more interesting is that most of the film was actually shot in Taiwan. So without further ado, let’s take a look at some of the iconic locations that appeared in the film. 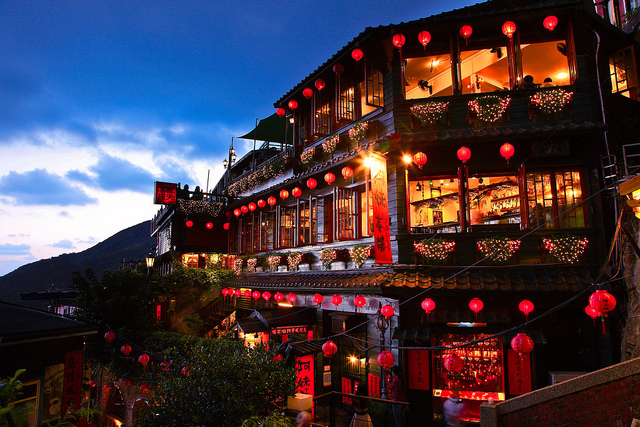 Kicking off the list is Jiufen, a town that was once the dwelling of gold diggers around the 19th century. It was made famous in 2001 by Hayao Miyazaki’s film Spirited Away after the downtown area was used for a model. Nowadays it is an renowned attraction spot that brims with tourists from Taipei and Japan on weekends. In Jiufen you can get a taste of retro-Chinese style cafes, tea houses and souvenir stores. Not to mention the night view overlooking the mountains and in to the sea is one of the most unique in Taiwan. Follow us as we take a right turn down east Taiwan, arriving at Cingjing Farm in Nantou. 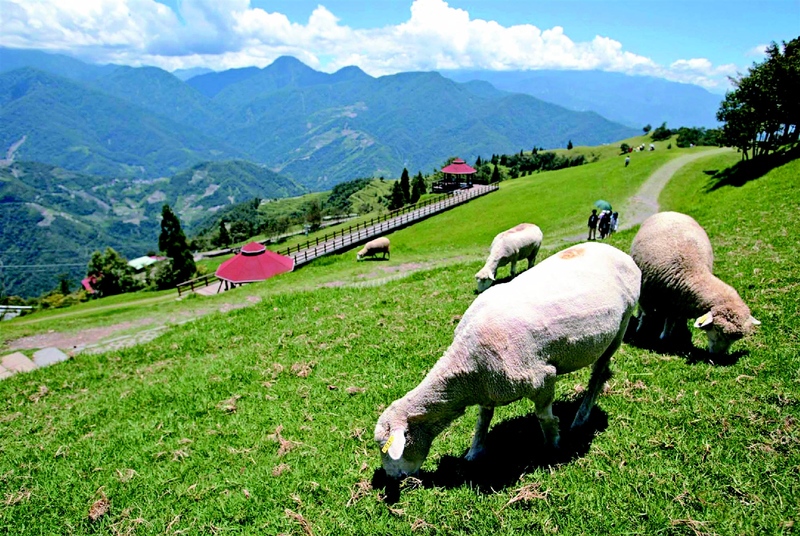 Boasting vast grass plains, verdant mountainsides and an unobscured view of the beautiful skies above, Cingjing Farm reminds us of the impressive mountain ranges seen in Europe. Six unique trails, each offering a distinctive experience, are available for your feet and mind to enjoy. Feel like some sheep? Take the Pasturage Trails. Looking for the sunset? Take the aptly named Sunset Trails. Then conclude your stay at the recreational center where you can enjoy hearty meals, read up on the history and culture of Cingjing Farm and go out with a bang with some cool agricultural souvenirs. Still with us? Next up is Taroko National Park, one of the nine national parks in Taiwan. 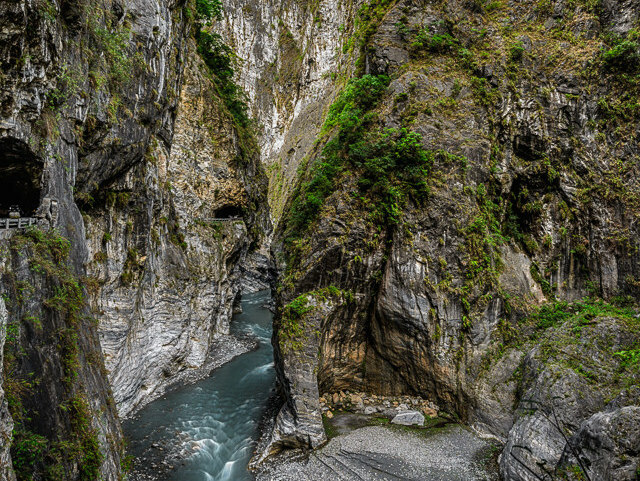 Coined as “The Marble Gorge” by some, Taroko Gorge was once known for its abundant supply of marbles. The rocks you see now began forming 200 million years ago, and the gorge slowly manifested itself as the Leewoo Ho River slowly cut a path through with its erosive power. Enjoy breathtaking waterfalls, emerald green rivers and the massive gorges Taroko. 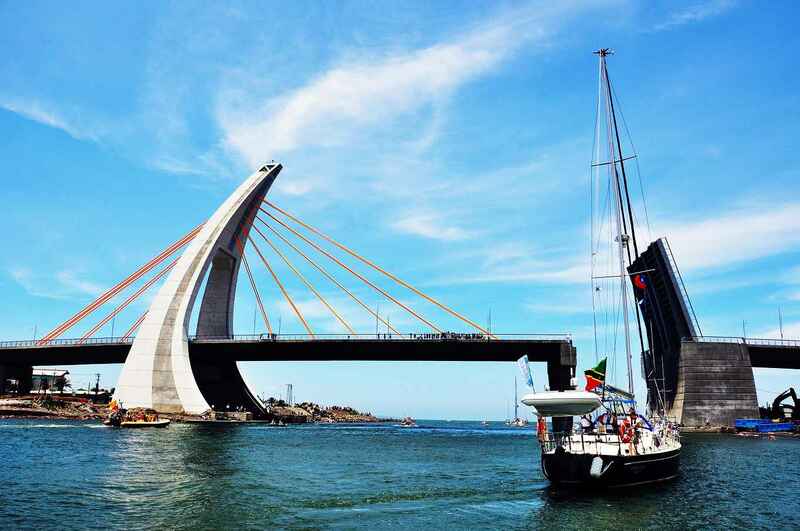 Also a hot cycling spot, cyclists can explore the Tunnel of Nine Turns and cross the Bridges of A Hundred Lions. Sounds cool? It is. Rounding off at the bottom of Formosa we have Dapeng Bay. 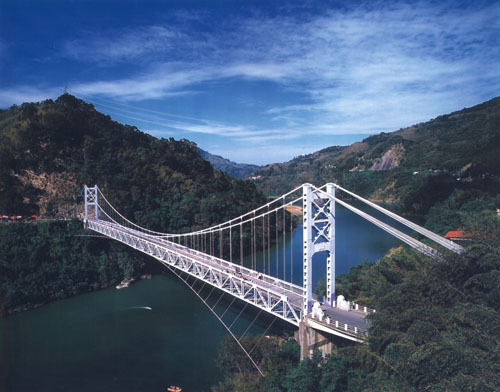 And perhaps the most distinguishing attraction here is the 579 meter long and 30 meter wide Dapeng Bay bridge. As shown in To the Fore, Dapeng Bay Bridge is not only a feast for the eyes, but also the first commercially operable suspension bridge in Taiwan for sea traffic. Stop around the area for some fresh seafood at Donggang Fish Market and visit Donglong Temple, home to the Plague God, Wang Ye. If the time is right, don’t miss the Taiwan-wide famous triennial Donggang King Boat ceremony. Just around the corner we have the Kenting National Park, where beaches and hiking trails abound. 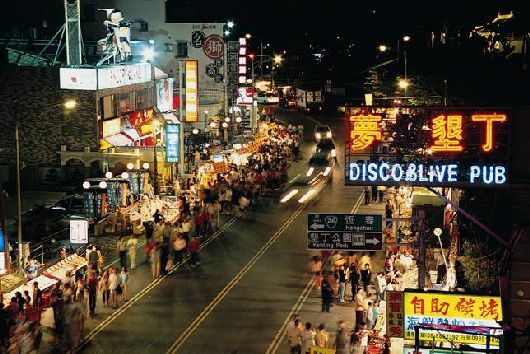 But the most famous spot of all would have to be Kenting Night Market— a long, sprawling street full of vendors of food, drinks, games and pretty much everything else. Don’t forget to check out some of the other secret spots in Kenting that your tour guide won’t tell you about. Riding into Kaohsiung, it’s time for a rest and some shopping. Completed in May 2007, Dream Mall is the largest shopping mall in Taiwan and the largest in East Asia. More than 2,000 stores are at your service so your legs will probably give out before you run out of things to buy; from restaurants, movie theaters, gym to amusement parks, Dream Mall has it all. 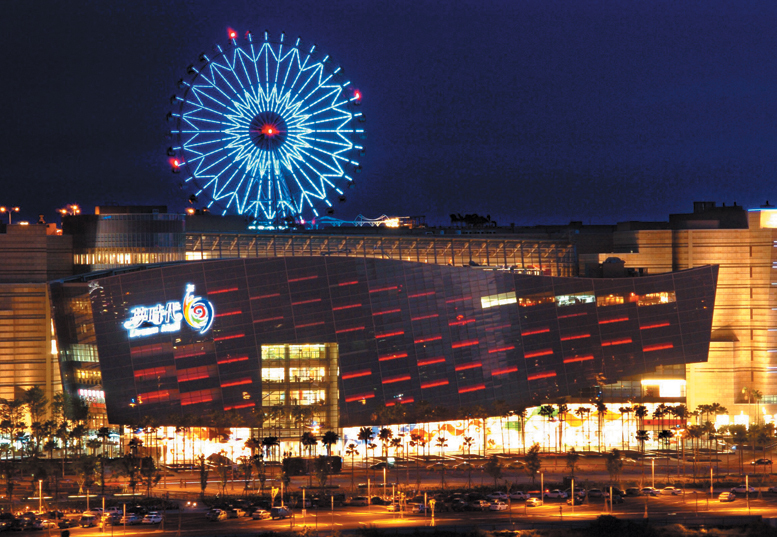 You can also hop on the 102 meter high Kaohsiung Eye ferris wheel for an elevated view of the city. 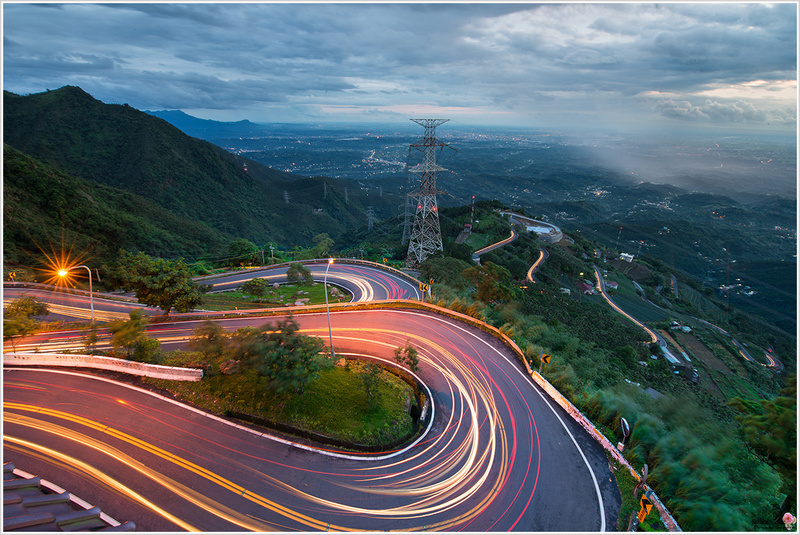 Situated in Chiayi’s Meishan Township, there is the infamous Meishan 36 turns. As the name suggests, 36 hairpin turns are waiting for daring adventurers to master. Totalling 13 kilometres and taking visitors up 900 meters, it is often a milestone for cyclists to conquer. Don’t forget to warm-up before you take on this baby. Coming back up the east side of Taiwan, our final stop is Mount Lala, or Mount Da Guan (達觀山). In the language of one of the native tribes of Taiwan, the Atayal, Lala means beautiful. In fact, a nature reserve was even established for the area in 1986. The Lalashan Nature Reserve is home to the Taiwan Red Cypress trees reserve, also coined by the Taiwanese as a Sacred Tree reserve. Apart from really, really big trees, you can test your wits at the various bungee jumping spots around the area. Just remember to check your harness before you leap.